St. Ignatius believed that gratitude was among the highest of virtues. With this book you will pray with a special Examen that invites you to dwell in gratitude. It’s one of ignatianspirtituality.com's Reimagining the Ignatian Examen Flip Books. 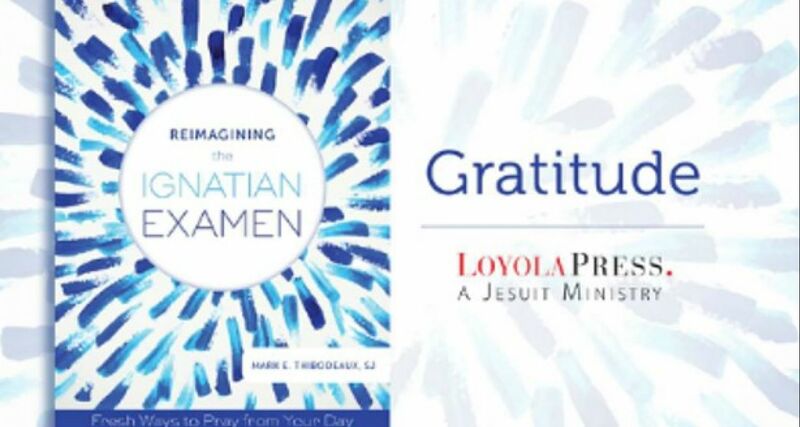 Using prayers from the new book Reimagining the Ignatian Examen by Mark E. Thibodeaux, SJ, the flip books bring the Examen to your desktop, laptop, or mobile device.